Demonstrate the Spine's Connection to Body Function. 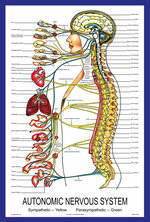 This form is an updated version of the original Autonomic Nervous System. 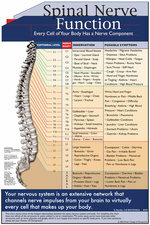 Show Your Patients That Their Nervous System is an Extensive Communication Network. Give your patients an insight to the expansive distribution their nervous system has throughout their body. Use this visual to explain how impulses travel from the brain to the rest of the patient's body and vice versa. Broaden Your Patient's Focus from Symptom-Based Relief to Wellness. 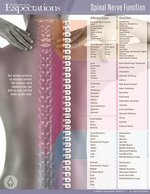 Teach every patient that the spine is more than a support column by showing them how the spine and nervous system relate to body function. As you combine this handout with our other report tools you can create an effective and educational message for every one of your patients.